Given the nature of today's work processes, how can the workplace better support human performance? How can the workplace support all of the different activities involved with knowledge work – things like collaboration, creativity, innovation, deep thinking and mentorship? IDr. Charisse Gail Bantiling, VP of Design and Construction Management Division and Principal Designer of Trends and Concepts indicates that thoughtful workplace design can be a powerful tool for supporting employee performance. And a collateral benefit is that what typically supports productivity also enhances employee health and wellness. So how can workplace design be used to boost employee engagement? 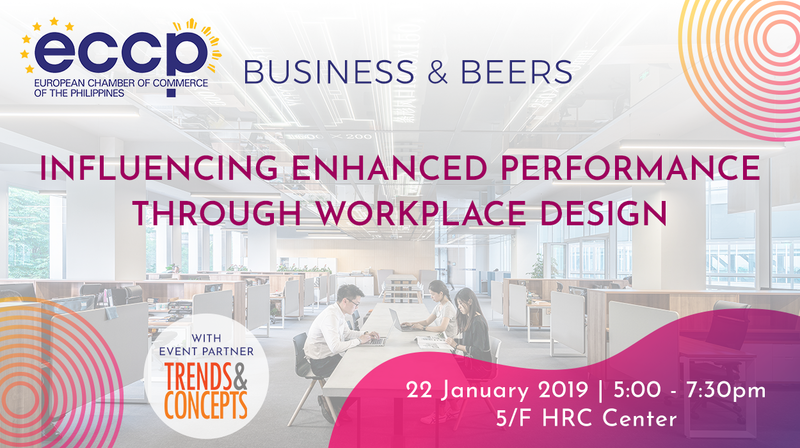 Join us on January 22, 2019 to learn more about maximizing the potential of workplace design to help boost employee engagement. Gail will share and describe "a resilient workplace": one that is most likely to have a positive impact on employee engagement levels. Expect to learn how to approach, modify and interpret the right workplace design to fit the culture of your organization. IDr. Charisse Gail Bantiling is a young Filipino Interior Designer who graduated from the country’s most prestigious design institutions, Philippine School of Interior Design (PSID) undertaking BS Interior Design. She took and passed her PRC Licensure Examination for Interior Design in 2013 and is currently an active member of Philippine Institute of Interior Designers (PIID). She is currently the VP of Design and Construction Management Division & Principal Designer of Trends And Concepts. Gail is currently taking Master in Design in UNSW Sydney (The University of New South Wales). Charisse Gail prominent accounts are Amway Philippines, Avon Philippines, DHL Philippines, Sprout Solutions, Lenovo and Project T Solutions. For inquiries, contact Ms. Ruz Lim at ruz.lim@eccp.com or call 845 1324. Registration will be on a first-come-first served basis. Only PAID participants can have seats secured. **Full payment is required prior to or on the day of the event. Unpaid attendees will not be granted access to the event. Cancellations should be made at least 48 hours before the event.